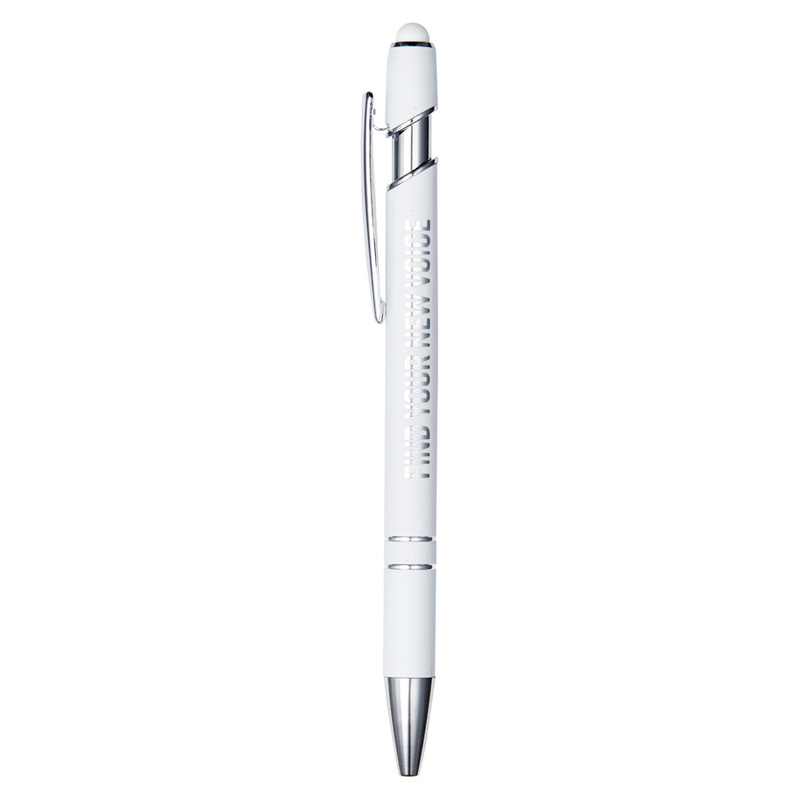 With a sleek attractive design and mirror finish decoration these pens stand out. 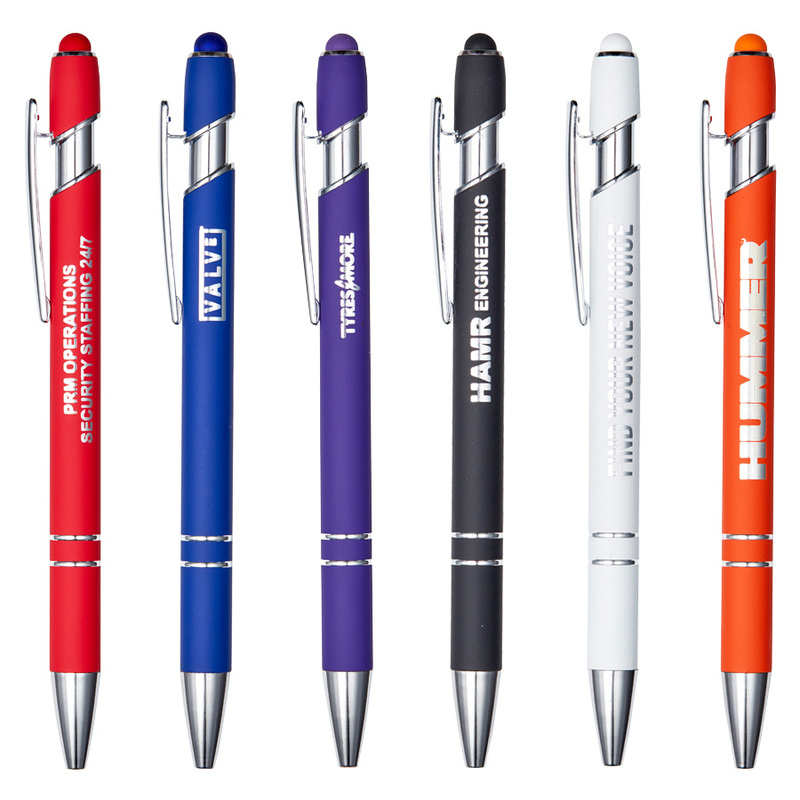 With click action functionality and a rubberised finish these pens excel at promoting your logo. They laser engrave to a stunning mirror finish and also host a stylus at the end of the pen for use on touch screen devices. 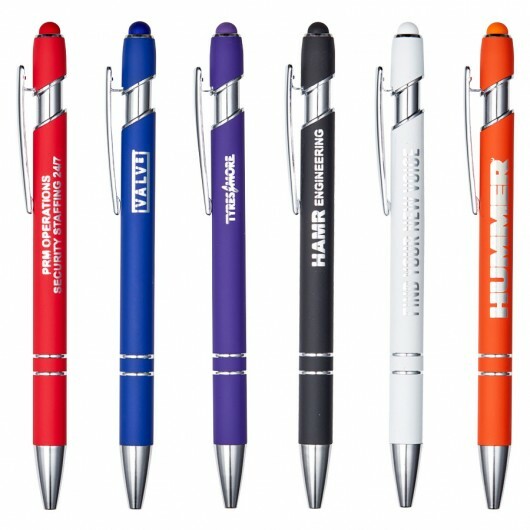 You can never have too many pens and that's what makes these such a great giveaway tool! Excellent for the home or office.